Is Meghan Markle going to be the first member of the royal family to have a home birth? That’s what fans and critics can’t help but wonder as there are new reports that say the Duchess of Sussex is apparently considering it. Meghan and her husband Prince Harry are currently expecting their first child together. The Duke and Duchess of Sussex are reportedly reading books about hypnobirthing and are considering several different options for the birth of their first royal child. 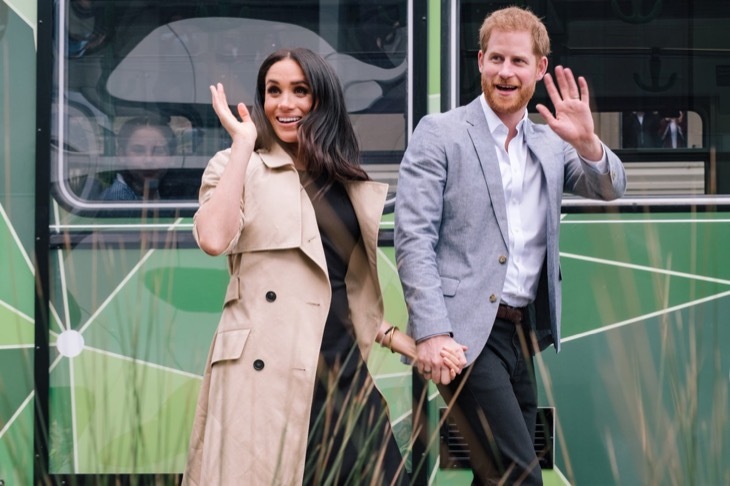 According to Café Mom, Prince Harry and Meghan Markle are not only adding a nursery in their new home at Frogmore Cottage in Windsor, but are also looking to renovate it to accommodate Meghan, should she choose a home birth or any other natural birthing options that she may consider. Meghan’s mother, Doria Ragland, is expected to be with the royal couple to help welcome their child in the Spring, too. If this turns out to be true, then it looks like the public won’t get to see Prince Harry and Meghan Markle’s baby at the steps of St. Mary’s Hospital in London. That’s where Kate Middleton gave birth to all three of her children. Both she and her husband Prince William posed with each one of their children in front of the media and their adoring fans before making their way home with the latest additions to their family. So far Kensington Palace has not confirmed nor have they denied the reports that Meghan is considering a home birth. While the Duchess’ due date is unknown, there’s speculation that she is due to give birth sometime in the Spring of 2019, in either March or April. In the meantime, let us know your thoughts in our comments section below. Also, don’t forget to check back with Celeb Baby Laundry for all the latest news and updates on Prince Harry, Meghan Markle’s pregnancy and all of your favorite celebrity parents and tots right here!